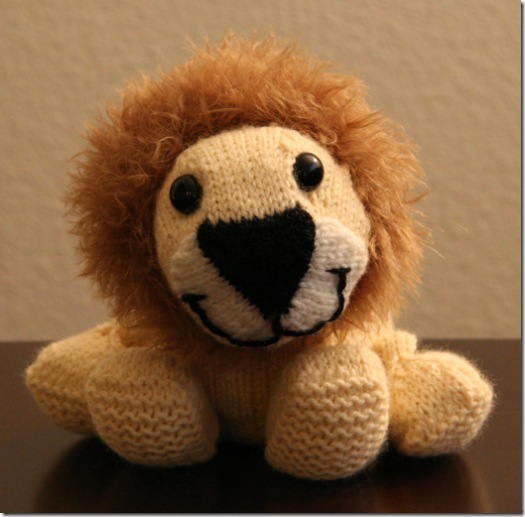 Roary Calhoun is the world's cutest little stuffed lion, made with worsted weight yarn & US 4 dpn's. Intermediate to advanced skill level required for short row shaping, knitting in the round with double pointed needles, i-cord, picking up stitches knitwise AND purlwise, and assembly. A beginner with a strong desire to learn might be able to tackle him, just be aware that it feels different from standard flat knitting because of the 3-D nature of all his parts. I want to buy the Roary Calhoun pattern.